New Zealand and South Africa played out a scintillating fixture in Wellington that will go down as one of the great matches between the two sides; South Africa claiming their first victory on New Zealand soil since 2009. 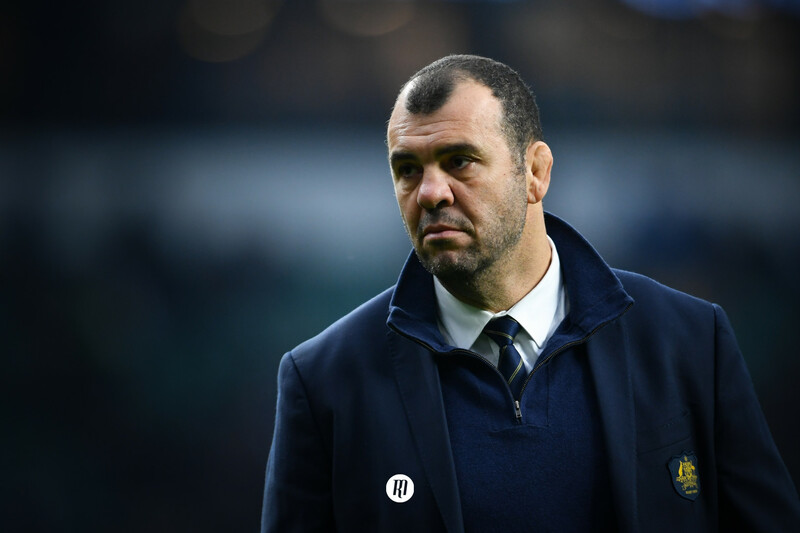 Having come into this fixture with a single win out of their opening three Rugby Championship marches, the pressure was on the South African team to put in a good performance and rally their nation behind them. New Zealand on the other hand, were fresh of the back of two victories over Australia, and a win against Argentina in Nelson, and before the game had kicked off it was hard to look beyond New Zealand grinding out another victory. South Africa had other plans though. With a mixture of discipline, passion, and a well thought out game plan, they came away as unlikely winners; the first time they had won on New Zealand soil since 2009. It was clear from the start that South Africa aimed to put New Zealand under an immense amount of pressure. They relentlessly challenged the breakdown, disrupting momentum, and then were quick getting up in defence. Furthermore, they were incredibly strong in the contact area, often shutting down any of the small gains that would allow New Zealand to get onto the front foot. That said, it took just four minutes for New Zealand to break the whitewash. Despite South Africa’s discipline in defence, it took one moment of misjudgement from Handré Pollard, who shot up to close down Beauden Barrett and in doing so, opened a gap that the inside run of Jordie Barrett mercilessly exploited. Ten minutes later, the mountain grew as Codie Taylor popped a nice ball to the overlapping Ben Smith who cantered into space. Aaron Smith went over for the try, and Beaden Barrett, though uncharacteristically as we would find out as the match wore on, converted for the extra two. 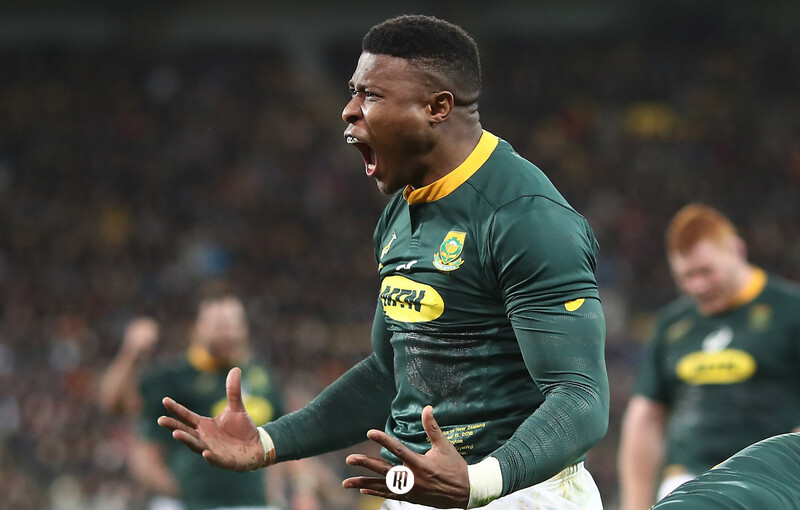 South Africa were certainly not down and out at this stage though, and their persistence was rewarded five minutes later when Dyantyi breezed over the try line (before stepping Beauden Barrett in the in-goal area to touch down beneath the posts). A great inside line was cut by Eben Etzebeth, which drew the gaze of the New Zealand defenders, and released Willie le Roux on the outside. Testament to the incredible intensity that South Africa were putting New Zealand under was their next try. Dyantyi picked up a deft grubber through from le Roux, and had it been any other player than Beauden Barrett chasing him, he might have made more ground. As it was, his kick as he was pulled backwards lifted softly into the air before harmlessly bouncing on the touch line. Jordie Barrett retrieved the ball, and in an effort to start a quick play into a broken field, swung the ball back into play and towards Rieko Ioane. Whether a more seasoned colleague might have done the same thing we will never know, but credit must go to Willie le Roux who chased right the way through, and managed to strip the ball away from Ioane before crashing over for the try. Twenty-five minutes in, and South Africa were ahead. The threat from New Zealand was still very real however. 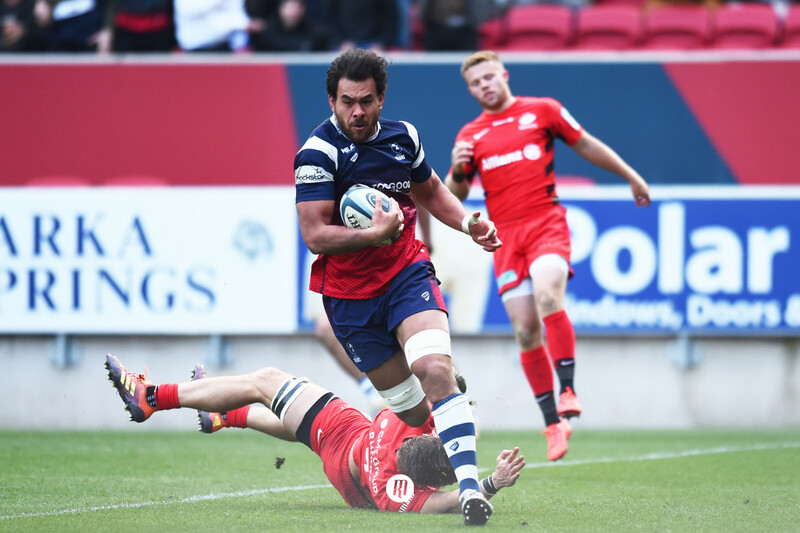 Karl Tuinukuafe burst through a hole in the defence when one of the South Africans had again come up too quickly. South Africa appeared to be defending with very little width, coming up quickly, but with their right shoulders forward in order to counter the inside runners with which New Zealand so often break the line. New Zealand appeared to get wise to this however, popping the ball back inside, trying to catch the South Africans in the wrong body positions. On any other day, it might have worked, but South Africa were playing as a strong collective, each man working incredibly hard in both attack and defence; Warren Whiteley was everywhere in defence; Pieter-Steph du Toit was seemingly at every breakdown in attack. By the half-hour mark, South Africa had extended their lead, with a superb catch and drive from a line out. Malcolm Marx crashed over for the try, and with the conversion, they moved nine points ahead. 12-21. As New Zealand always do however, they find a way to claw themselves back into the game, and so it was when Rieko Ioane produced an excellent finish in the corner. Again though, another missed kick from Beauden Barrett which must raise some serious questions about whether he is the man for the job going forward. A final penalty for South Africa on the stroke of half-time put them ahead as the teams went into the changing rooms. 17-24. Once the teams had emerged for the second half, there was the inevitable sense of foreboding. How often have New Zealand found themselves in this situation and dug deep enough within themselves to deliver the result? Perhaps crucially, it was South Africa who dealt the first blow. The half started at a frantic pace, and it had clearly ruffled some of the New Zealand players. Aaron Smith took a tap penalty in the middle of the field and tried to spread the ball into the wide channel. Half-time substitute Cheslin Kolbe read the play though, and after plucking the ball out of the air glided to the try line. New Zealand continued to drive on, but were thwarted by the tireless South African defence. The immense pressure that they were putting the All Blacks under forced them into plenty of uncharacteristic errors. Perhaps the biggest indication of this impact was the substitution of Aaron Smith after only forty-nine minutes of play. 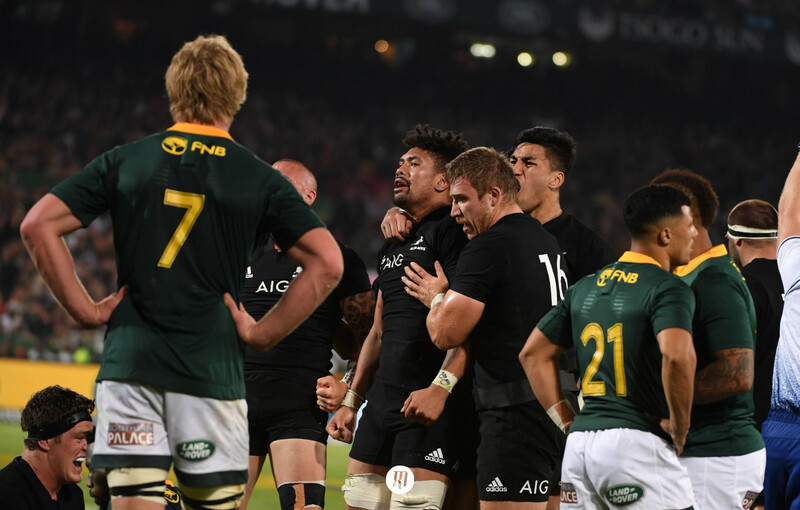 Equally, and in many respects, South Africa outplayed New Zealand at their own game; they were clinical in the second half. After 56 minutes, Dyantyi crashed over for his second score after some strong running through the middle of the field from the South African forwards. Quick ball, and some soft hands from the pack in midfield released the ball to Elton Jantjies, who opened up the defence for Dyantyi to score. From there, it was damage limitation. New Zealand’s waves crashed upon the granite face of South Africa. By this late stage, they were no longer contesting the breakdown or line out, they simply put plenty of bodies in front of the ball, and tackled their hearts out, each player having elevated themselves to a near super-human level. Warren Whiteley chasing down TJ Perenara to thwart a try; Malcolm Marx and Pieter-Steph du Toit driving into the outside channels to shut wide attacks down. Every player kept giving and giving. The game found itself with two minutes remaining, and two points the difference. Had Beauden Barrett kicked his goals, New Zealand would have been ahead. Had they chosen to kick a drop-goal, they would have won. 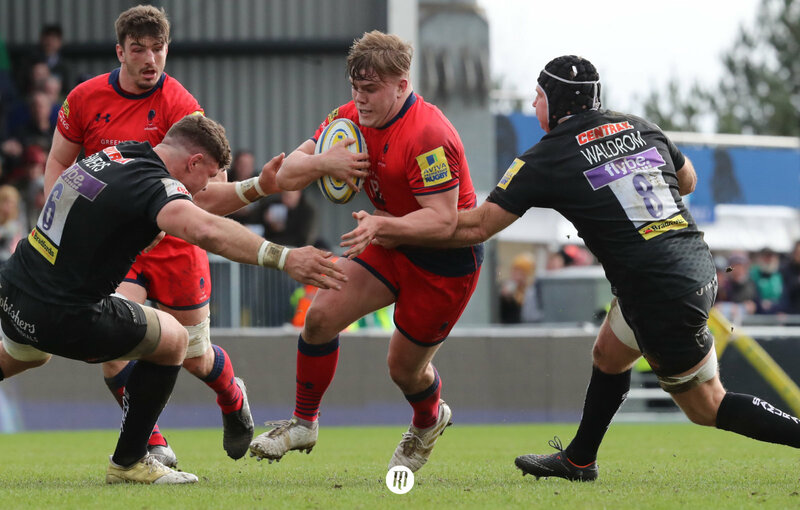 Perhaps it was that they find themselves in that position so infrequently that they were unable to make a decision; perhaps on balance, trusting in your ability to get a try outweighed the risk of pushing the ball wide past the posts. Either way, they drove on for the grandstand finish. The incessant pressure from the men in green forced Damian MacKenzie into knocking the ball on. Nigel Owens blew his whistle, and the South African players melted into euphoria. The implications of this victory are huge. Not least will the South Africans now welcome New Zealand to their own turf with a new found belief, but so to will world rugby. Given that the two teams will also face one another in the group stages of the World Cup in a years time, the South Africans will carry a very important mental edge into the fixture; we can beat the All Blacks. With the rest of the world looking on, South Africa have delivered hope.